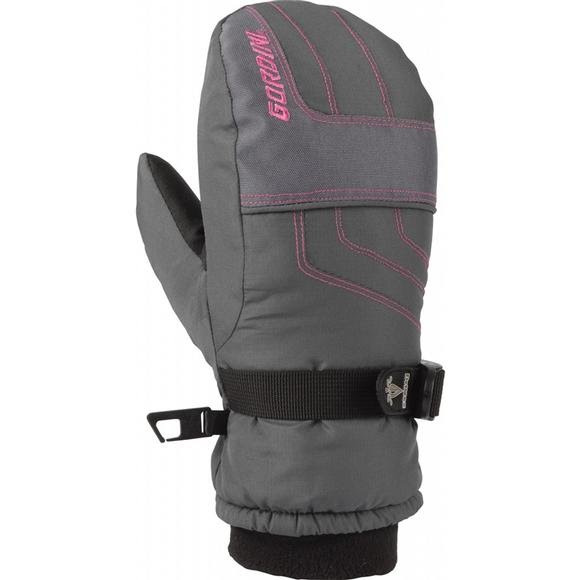 Waterproof, insulated protection for young hands from Gordini. The Ultra Dri Max VII Mitten is built to handle winter temperatures and weather with ease! MegaLoft&apos;s synthetic fibers maintain their insualtion value even when wet. Wicking, quick drying and compressible this a perfect insulation for a winter glove. Polyester fibers provide a soft hand and maintain insulation value even when wet. Wicking, quick drying, lightweight and durable. Keeps water where it belongs: away from the interior of your hand protection.